I’m so excited to finally be able to share photos of the dip dye wedding dress, that I created for a styled shoot collaboration, earlier this year! When Vicky from Hooray for the Day put out a call for a dress designer for this styled shoot, I jumped at the chance! 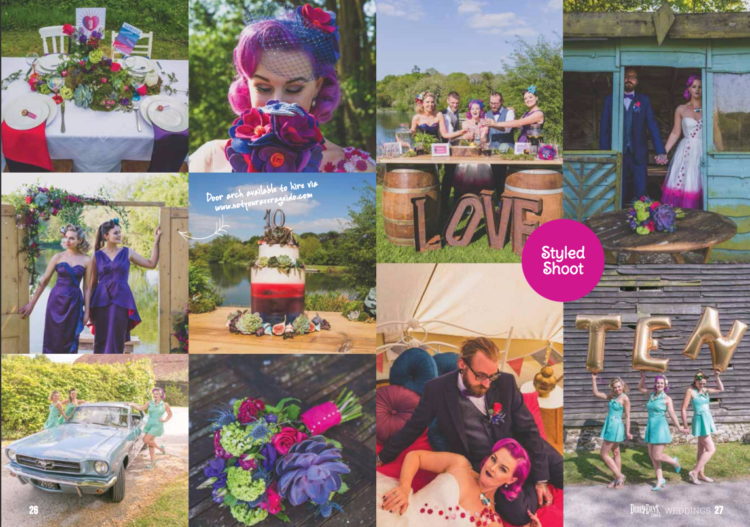 I loved all of Vicky’s idea’s for the overall styling of the shoot and felt super inspired to make this dip dye wedding dress especially for the shoot! 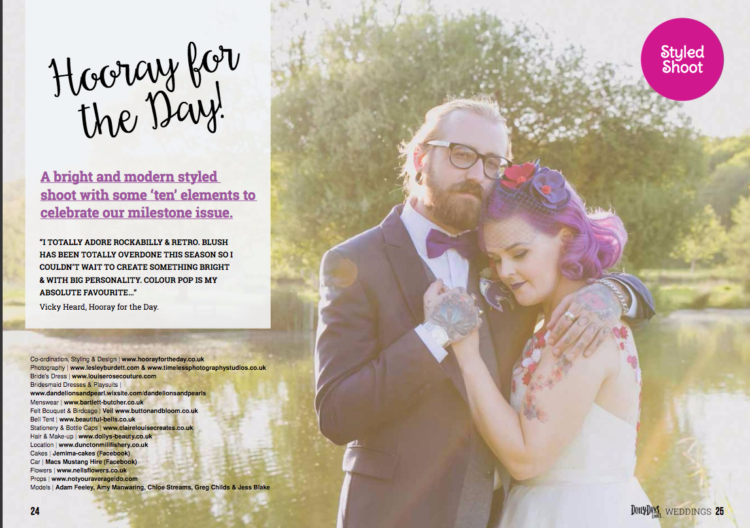 The shoot has made the cover of Doily Days Issue 10, along with a double page spread inside the magazine! Each of the flowers cascading down the dress were hand dyed, along with the hem of the dress. This design had been in my mind for a while and Vicky’s ideas and theme of the shoot gave me the perfect opportunity to finally get it out of my head and into a reality! 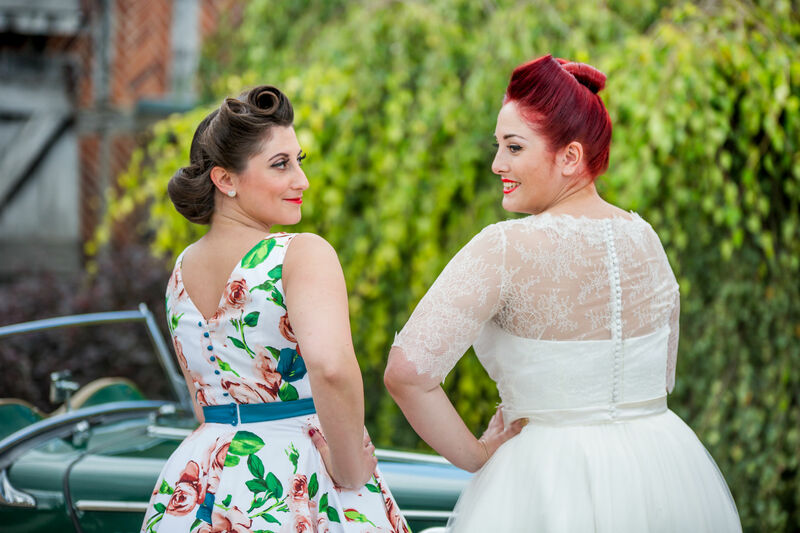 Rockabilly brides, this is the perfect colour pop wedding inspiration! Click here for the full digital version of the magazine! 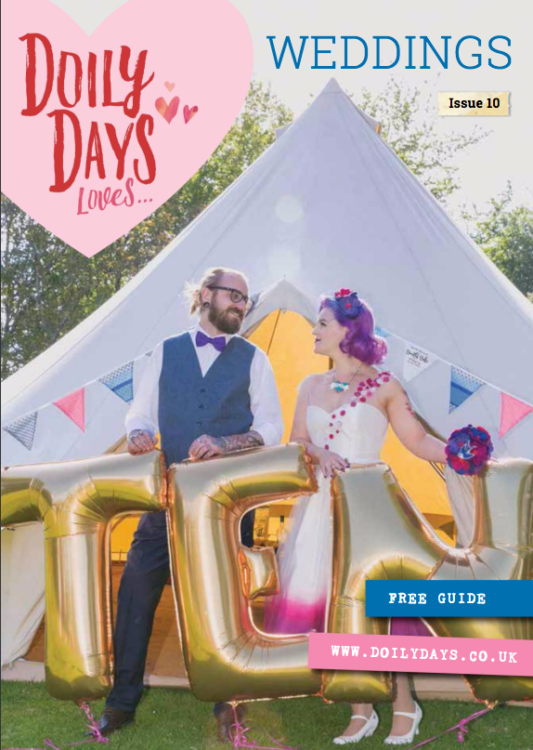 The magazine is also distributed around wedding fairs and venues in and around Hampshire, so keep your eyes peeled to grab yourself a copy!